We Have Just Changed EVERYTHING For Contractors! Discover A New Way To Borrow Capital and A New Way To Eliminate Bills! Did you Know That Over 78% Of Contractors Struggle With Working Capital and Cash Flow? Did You Know That A Large Percentage Of These Contractors Already Have Taken Out High Cost Loans And May Have Several Of Them Causing Cash Flow Issues? Let Us Help You Obtain Working Capital That Pays You Years Down The Road And Gets You Out Of Debt. As Your Wealth Advocate, We Offer Insured Capital Which Pays You Free And Clear Funds In Less Than 12 Years. Pay To Borrow It Now, Then We Pay You Free And Clear Capital In The Future With No Payments! Let Us Set You Up For Success! Did You Know That 87% Of Contractors Pay $500 Or More On Their Cell Phone Bills AND Over $500 Or More On Their Credit Card Processing? 87% of Contractors That Obtain Capital Can't Qualify For Bank Financing So They Need High Cost Loans? When You Switch Your Credit Card, ACH Processing, Customer Financing (We Charge ZERO Discounts or Dealer Fees) And Obtain Working Capital Through Us, The Average Contractor Saves Thousands Of Dollars Per Month. In Fact, We Will Eliminate Your Cell Phone Bill For 5 Years When You Bundle With Us. The Average Savings With Us Is $6,000 Per Year On Just Eliminating Your Cell Bill, That Doesn't Include Unlimited Customer Financing With ZERO Dealer Fees! According To The Consumer Financing Major Home Improvement Purchase Study, 7 Out Of 10 Customers Are Typically Declined For Consumer Financing And Would Have Purchased From Their Service Provider If They Were Offered Financing! Well Many Of The Contractors Who Do Offer Financing On Average Pay 6% in Discount Fees Which Takes From Your Net Profit.We Eliminate This Cost and Allow You To Finance Down To A 500 Credit Score. Watch a Live Example Of How When You Bundle You Save! We have made it so that when you bundle your capital funding, credit card processing and consumer financing with us you not only save thousands per month but gain capital protection and streamline your processes. From Working Capital, Franchise Financing, Acquisition Financing, to Equipment Financing, Commercial Real Estate Financing, Consumer Financing to even B2B funding, Obsidian has your capital needs covered. 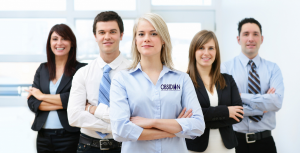 Obsidian also provides corporate credit or business credit acceleration where we build your corporate credit and help repair your personal credit resulting in long term savings, and opening up more financing options for your business. This day in age utilizing the proper technology is VITAL to your businesses success. We provide the top cloud based operations, dispatching and financial management software system that's designed to work simultaneously together saving your business on errors, double data entry, time and money, while improving revenues and overall profitability. Obsidian will design a custom M.A.P.P (Massive Action Profit Plan) for your business providing all the missing key elements to boosting your business. This also entails but is not limited to business credit acceleration, personal credit repair, market penetration & micro growth through acquisitions, cash flow and budget management as well as cash flow projections and cost analysis. There has never been a more ripe time to look at purchasing other businesses in your industry. Did you know that the average business in the home improvement industry can be purchase for under $199,000 providing a $85k to $110k cash flow and average revenues of $300k to $500k? Think of what that can do for your business. We have a whole acquisition strategy designed to help your business grow and improve its overall profitability. Let us help you get to where you deserve to be. What's your Revenue Goal and how do you plan on getting there? Let Obsidian assist you to ensure that you hit your goals and grow your business. We are a business technology integration and financial advisory firm dedicated to the home improvement and contracting services industries. We work with private business owners and franchisees as well as franchisors of all sizes. We know the technological, financial, credit and operational side of the business and look to help educate our clients while implementing these important aspects of their business. We also implement properly streamlined and integrated job management, financial accounting and customer support software along with implementing a financial and credit strategy to improve overall business success so that the business can THRIVE VS. SURVIVE. We take pride in working with some of the largest home improvement groups in the country. We are always happy to assist any home improvement services business big or small, franchised or private that is looking to drastically improve their overall businesses performance. We do this by helping our clients get connected to the cloud and implement the top job management dispatching, job costing, inventory tracking, scheduling software along with integrated financial accounting software streamlining your quoting, invoicing and much more. We also help our clients establish corporate credit, improve personal credit, increase cash flow, help obtain more purchase options for their customers through the use of consumer financing for all credit types and accepting performance pay credit cards and much more. We want all our clients to know that we love and appreciate them. You can always count on us! © 2015 Obsidian Business Advisors. All Rights Reserved.